Rhydian Sandbrook is running his first ever marathon on 5th May as he takes part in the Newport Marathon. 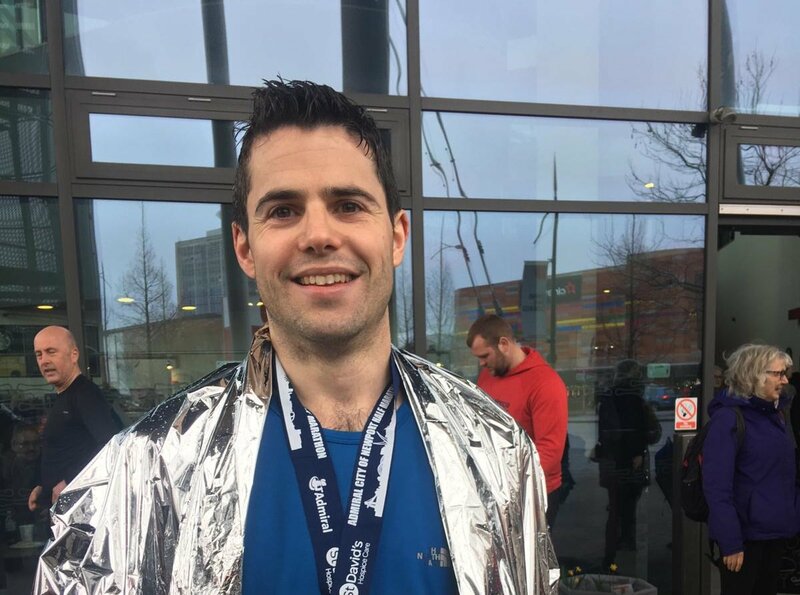 Rhydian has previously completed half marathons and is going a step further, challenging himself with a full marathon to raise funds for two charities close to his heart. Rhydian will be running for Prostate Cymru, the leading prostate health charity in Wales supporting men with benign prostate disease and prostate cancer and Cecily’s Fund, an international development organisation providing educational support in Zambia. “This one is for the dads”, explained Rhydian. His father has recently undergone treatment for prostate cancer, the most common cancer diagnosed in Welsh men. Rhydian is running to raise awareness of the disease and in appreciation of the work that the charity does. Rhydian’s father in law David, who sadly passed away in the summer of 2018, was a keen, longstanding supporter of Cecily’s Fund. Rhydian is running in memory of David to help provide a better future and route out of poverty through education in Zambia. The donations Rhydian receives will be split equally between both charities. Rhydian is fundraising online via VirginMoneyGiving and hopes to raise at least £300 to support these two charities that are very personal to him.